We are very proud of our good local reputation for always using the best quality materials and high quality installations at competitive prices. 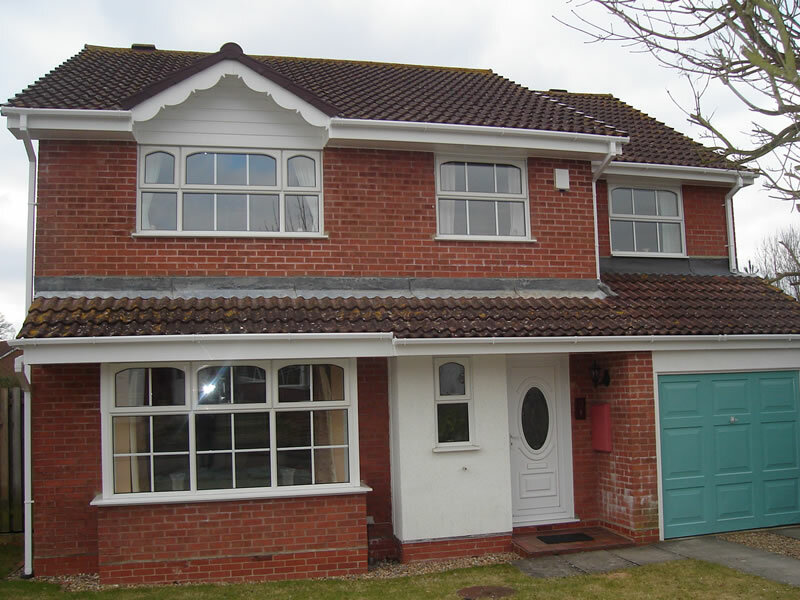 PBM Exteriors is a family run business based in Worthing, West Sussex. 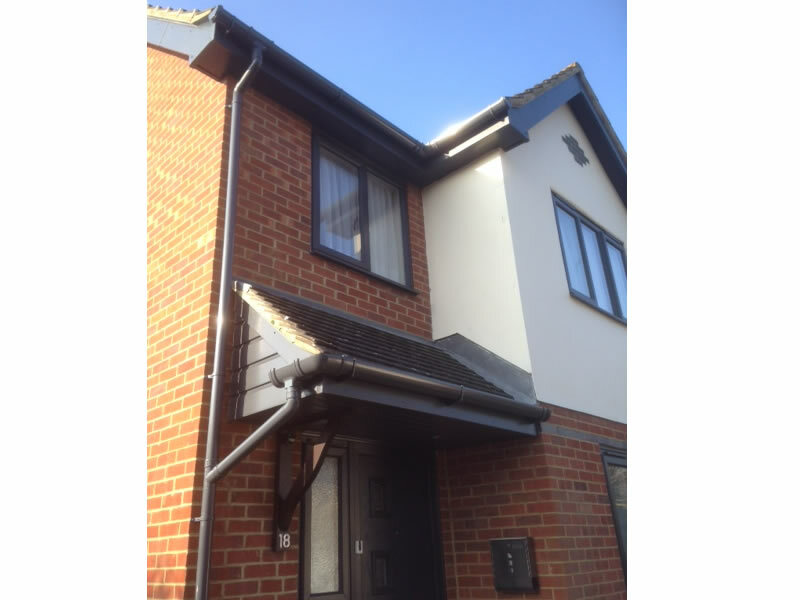 We specialise in the installation of replacement roofline products - upvc fascias, soffits, guttering, barge boards, cladding and flat roofing found on the majority of homes throughout Sussex. Our business has gone from strength to strength, and most of our business now comes through recommendation. 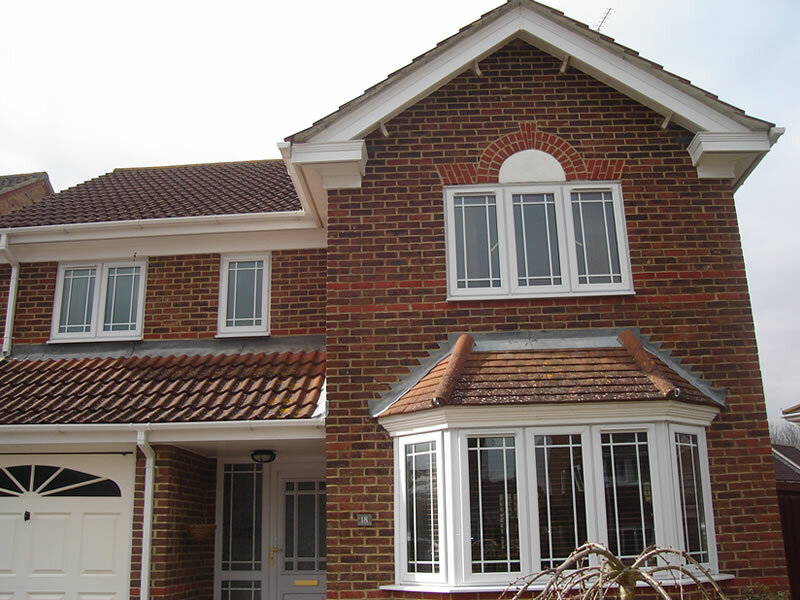 We install quality upvc fascias, soffits, guttering and cladding in both West and East Sussex. Covering all areas to include Worthing, Burgess Hill, Littlehampton, Brighton, Seaford. Reduce maintenance costs, time and worry. Improve the flow of water in guttering and downpipes. Minimise condensation, damp and rot in your roof. Reduce access and damage from birds and vermin. Repair or prevent future roofline problems. 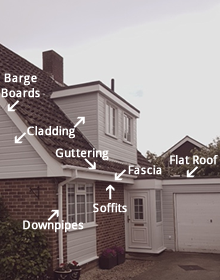 Value for money and quality roofline installations in Sussex. 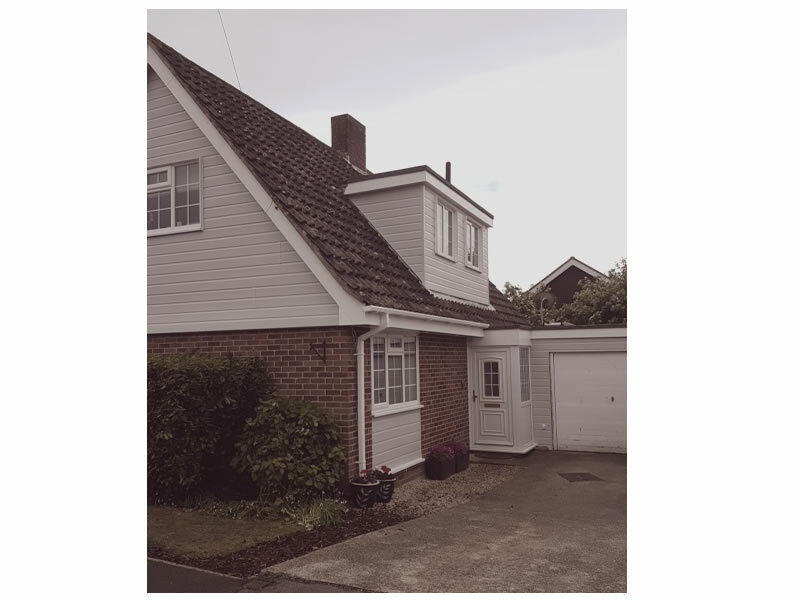 For a free, NO OBLIGATION roofline quotation, call our friendly and helpful roofline experts Tel: 01903 212114 and begin to give your home the treatment it deserves. 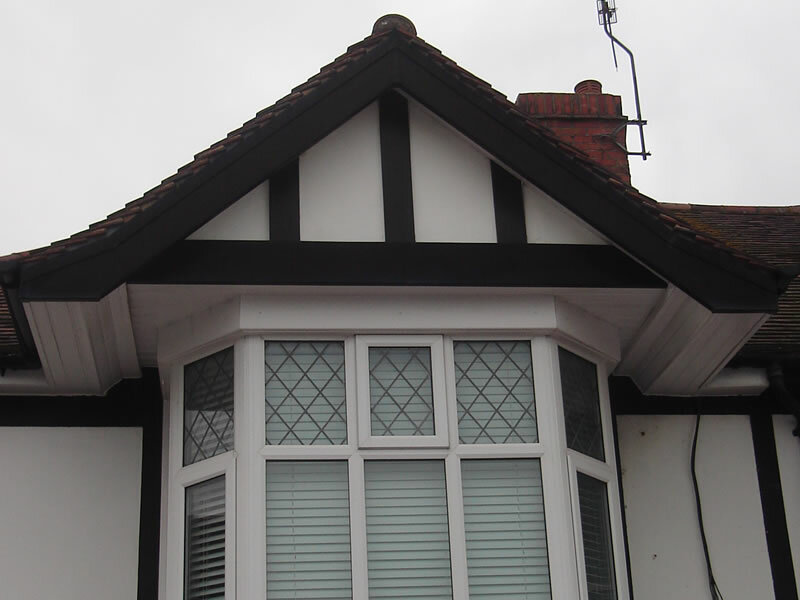 We use Quality roofline fascias, bargeboards, soffits, guttering, cladding and rainwater products that not only look fantastic, but are guaranteed never to rot, flake or require painting. Kestrel's range of PVC-UE roofline products help to ensure a long-lasting fine finish to any domestic building and come with a standard 20 yr guarantee which can now be EXTENDED for a 35 yr guarantee. Available in a range of colours. We are a Kestrel© Registered Installer. Kavex© textured wood grain effect PVC-UE cladding and overlapping featheredged style cladding boards available in white, sand, cream, light grey and light blue. We install high quality FloPlast and Marshall-Tufflex rainwater and drainage systems available in uPVC, Aluminuim and Cast Iron. Rubber Bond EPDM Roofing system. 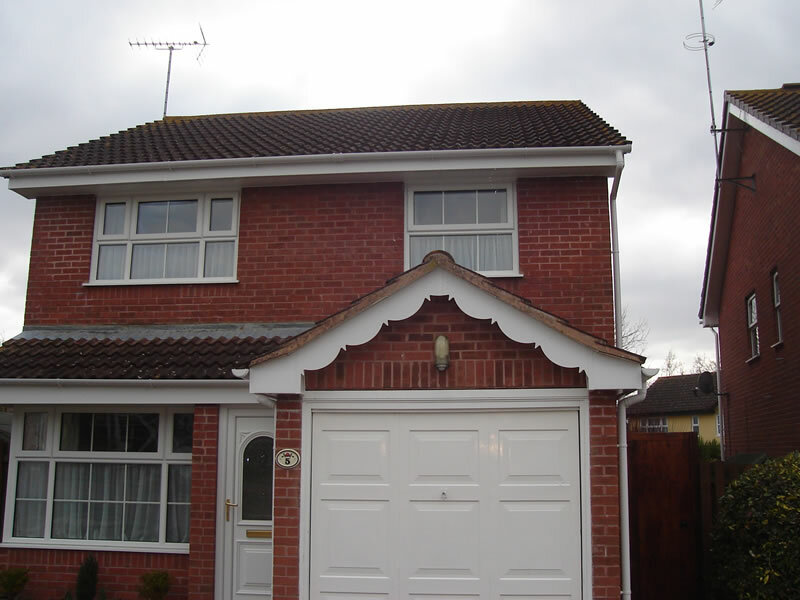 uPVC Fascias will prevent wind and rain from entering rafters, they only need the occasional wipe every 1 or 2 years, improve the look of your home and are available in many colours. Find out more. uPVC Ventilated soffits allow air to circulate within the roof space, reducing the risk of condensation and meeting the most up-to-date building regulations. Find out more. Barge boards keep your roof lining dry and free of any gaps or holes around the edges of your roofing. They also add a great look and character to the roofline of the property. Find out more. Having a good quality guttering system can be an essential step that you can take to help protect you property and also save you money on time on having to do maintenance or repair work. Find out more. High capacity systems mean fewer down pipes required, improving the overall look of the property. Find out more. Rubberbond Fleeceback EPDM Rubber roofing system guaranteed to last for 20yrs. It's super strong, highly weather resistant, flexible, resilient, eco friendly and looks great. Proven to last up to 50 years. We are RubberBond Approved installers. Find out more. Established 20 years in the local areas with 100s of references. 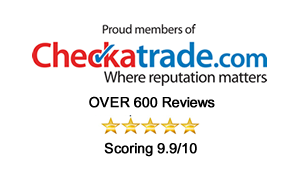 On Checkatrade you can find out our scoring on reliability & timekeeping, tidiness, courtesy and workmanship and read pages of customer testimonials! Checkatrade ID No: 91944. The men were first class tradesmen; very happy. A really good job done, would highly recommend. Very pleased, first class job. We are a Kestrel registered installer. 20 yr standard Guarantee on White PVC-UE products. Register for EXTENDED 35 yr guarantee. 10 yr Guarantee on Woodgrain PVC-UE products. 10 yr Performance & Colour Guarantee. James Hardie® fibre cement cladding is made to last. It can better resist extreme weather conditions and is weather, pest and fire resistant. With low maintenance required, your home will stay solid and beautiful. RubberBond FleeceBack EPDM Rubber Roofing is GUARANTEED for 20 years and has a proven 50 yr life expectancy. We are approved installers for RubberBond. Copyright © PBM Exteriors. Created by CR Website Designs.